This buffer spring is a must have for any high quality LR-308 build. The Stealth Recoil Spring™ SRS™ is a self-contained multi-stage drop-in replacement for your standard buffer and spring. The Stealth Recoil Spring™ is designed to reduce felt recoil as well as keep the buffer spring from rubbing against the inner wall of the buffer tube. The buffer mass is designed to stay under constant tension against the bolt carrier and the O-ring on the head of the buffer mass prevents metal on metal contact. 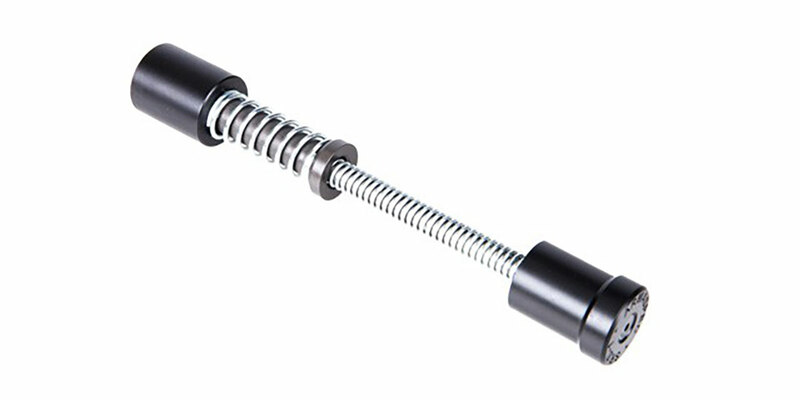 This Stealth Recoil Spring is the SRS-308 variation weighing in at about 5.7oz. Perfect for most conventional LR-308 cartridges such as: .308 Winchester, 7.62x51mm NATO, 6.5 Creedmoor, and others. Does not work with .458 SOCOM, .450 Bushmaster, or .50 Beowulf.